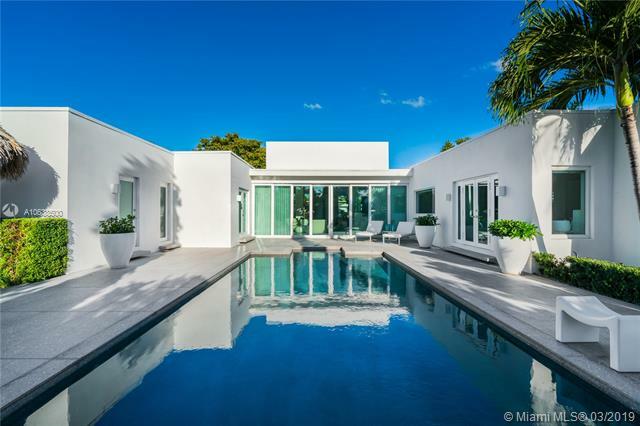 This exquisite contemporary estate on keystone island fuses timeless elegance with modern appeal. 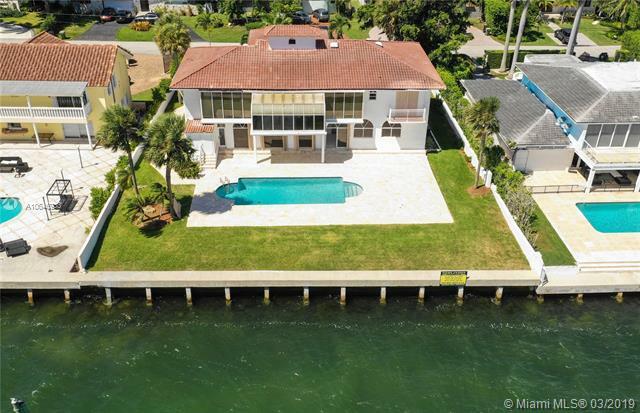 The incomparable design, construction & execution of the home, combined with art deco elements, make this waterfront home a boater ¬ø� ¬ø�� ¬ø��s dream w/ 75 ¬ø� ¬ø�� ¬ø�� on protected waters w/ wide bay exposure. 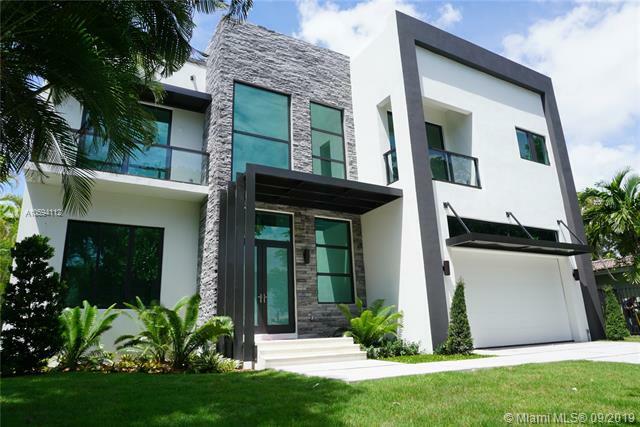 Boasting 4,218 sf of open living spaces w/ 18 ¬ø� ¬ø�� ¬ø�� ceilings, expansive bedrooms w/ 11 ¬ø� ¬ø�� ¬ø�� ceilings, walk-in closets & en-suite custom marble bathrooms, mystery white marble floors flowing through to the exterior, a gourmet chef ¬ø� ¬ø�� ¬ø��s kitchen w/ an 18 ¬ø� ¬ø�� ¬ø�� calacatta marble island, thermador appliances, a custom stainless/brass vent-a-hood & a 2 car garage. Enjoy the ultimate in outdoor living with a stunning infinity pool and spa, sliding pocket doors, impact windows and doors and a 60 ¬ø� ¬ø�� ¬ø�� ipe wood dock with a new sea wall cap. Wide wide bayfront ! 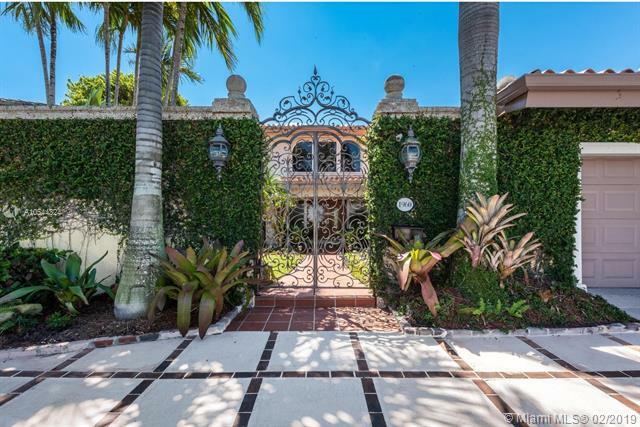 3 mile views to miami beach ! ¬ø� ¬ø�� ¬ø��sans souci estates ¬ø� ¬ø�� ¬ø�� ¬ø� ¬ø�� ¬ø��panorama ¬ø� ¬ø�� ¬ø�� downtown views ! "owner will finance" 6 bedroom 5. 5 bathroom, pool, plans option-6 car carport or 4 car garage, 8600 sq. Ft. 30 ¬ø� ¬ø�� ¬ø�� high ceilings, 3 floors, 2 story plus grandfathered in basement with second huge eat-in kitchen (catering or for kosher). 3 story elevator. 102 ¬ø� ¬ø�� ¬ø�� of new seawall, home is priced at ¬ø� ¬ø�� ¬ø��land value ¬ø� ¬ø�� ¬ø�� with an 8600 sq. Ft. ¬ø� ¬ø�� ¬ø��shell ¬ø� ¬ø�� ¬ø�� as home needs extensive remodeling. 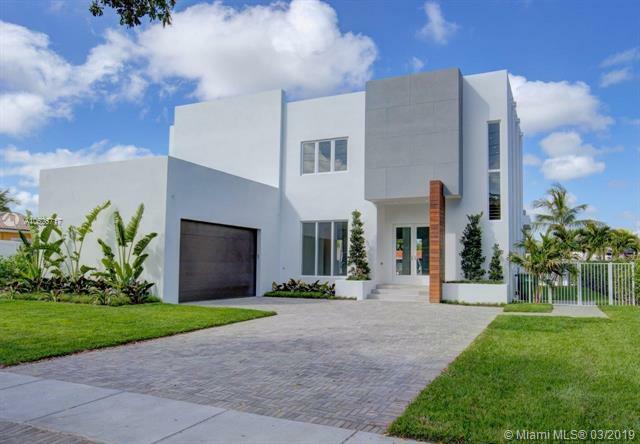 Comes with architectural plans (already paid for) for a completely redesigned 10,500 sq ft contemporary home. Also plans for a new "fingerpier dock" wide, wide bayfront! Enjoy the ultimate in waterfront living in this contemporary one-of-a-kind home. This custom residence boasts 5 bedrooms, 4 full & 1 half bathroom, 3,721 sf on a 9,750 sf lot. Sitting on 78 ¬ø� ¬ø�� ¬ø�� of wf w/ a private dock for your yacht & ocean access this home is a boater ¬ø� ¬ø�� ¬ø��s dream. Top-of-the-line features in this smart home include a custom, handcrafted movie theatre, built-in wet bar, custom frameless doors, custom teak grand entrance & large circular driveway. The stunning gourmet kitchen features sub-zero/gaggenau appliances, porsche design cabinet handles & antolini crystal agatha countertops hand-made in italy. The bedrooms all offer custom marble bathrooms & built out closets. The outdoors feature a heated pool, fountains, sonos speakers, cabana bath & summer kitchen w/ bbq. "contemporary""new 2019 waterfront construction" with the most exquisite finishes! "30'high ceilings" 1st and 2nd floors solid concrete! "large format porcelain plank flooring", gorgeous glass tile baths, natural gas gourmet center island kitchen w/subzero & wolf appliances, italian designer white lacquer wood custom cabinetry & white quartztop counters, huge master suite with double walk-in closets, floating modern tub and separate body-spray shower, hurricane impact glass and 10' floor to ceiling glass sliding doors. Heated pool with infinity jacuzzi waterfall built-in. New 75'of deepwater dockage and seawall ! 1 year warranty comes with home at closing, completion date april 2019. Easy access to show, brokers office only a 1/4 mile away. Move in ready! 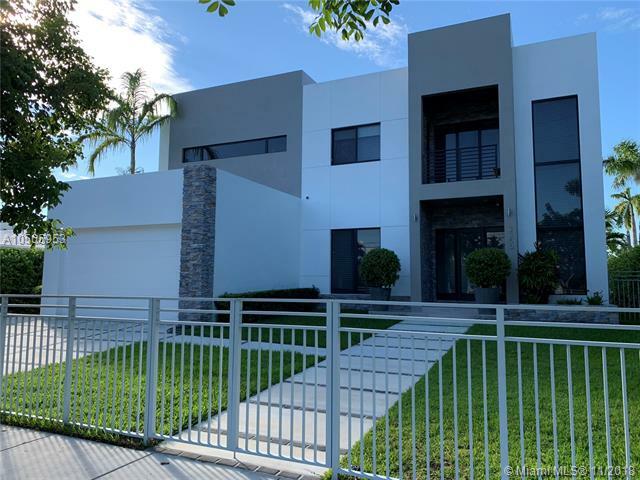 luxurious, modern waterfront home w/ 3728 sf of living space in a 24 hour gated community. This home has 4 bedrooms, 5 bathrooms plus den, office or 5th bedroom. Over 600 sf of covered patio overlooking a beautiful pool and private dock. 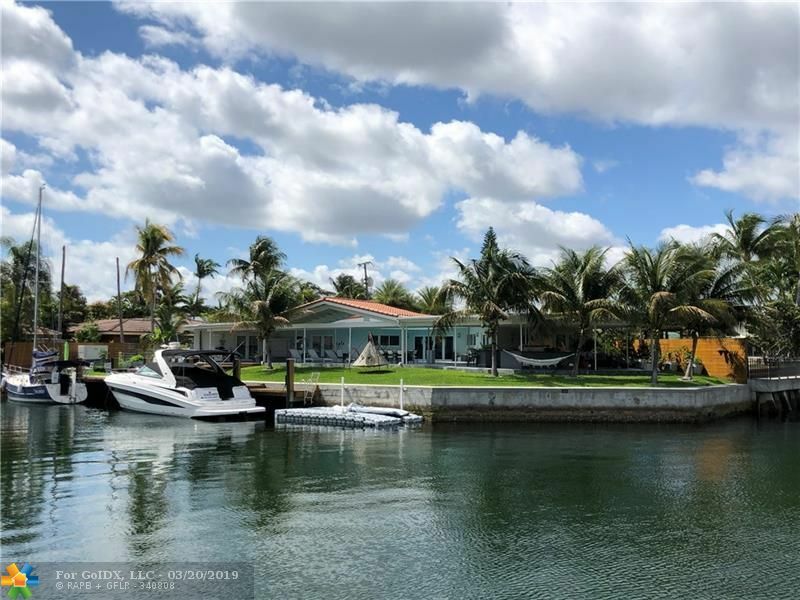 Property features a new seawall, a 75 ft wide dock and a new 24,000 lb boat lift and unobstructed access to the open bay with no fixed bridges. 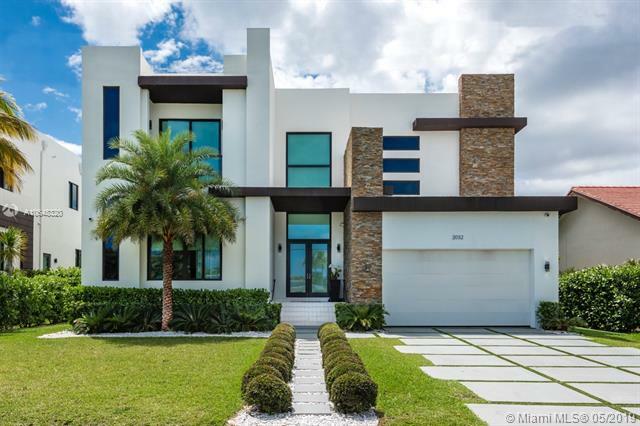 Enjoy water views from most rooms, open floor plan with high ceilings, impact doors and hurricane rated glass windows, open kitchen with top of the line stainless steel appliances, marble counter-top and back splash and beautiful wood custom cabinets. 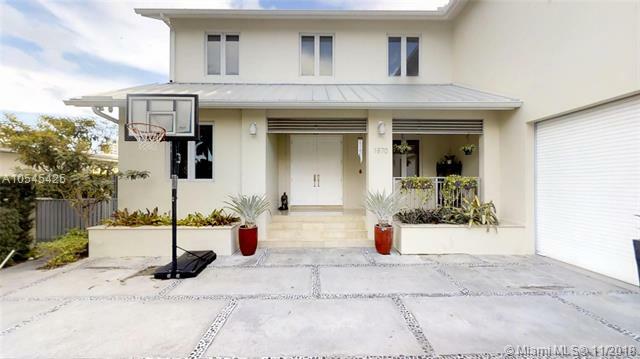 This spectacular residence has many upgrades since newly constructed. Just bring your tooth brush and move in ! Move in ready. All done! 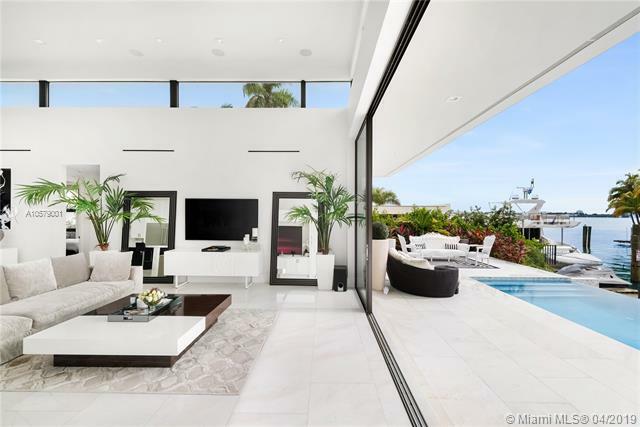 2019 new 5,297sf modern waterfront pool home w/ocean access, no bridges to bay. 10,125sf of land (75ft x 135ft) 4 bedrooms and 5 bathrooms plus den, office or 5th bedroom! 665sq. Ft. Of covered patio downstairs, perfect for morning coffee or outside entertaining! this location features a new seawall and synthetic dock with 75 feet on the water and no bridges to bay. Water views from many rooms. Open floor plan with high ceilings, 8ft doors, impact/hurricane rated glass, top of the line appliances, natural gas, and huge 2 car garage (20ft x 26ft). 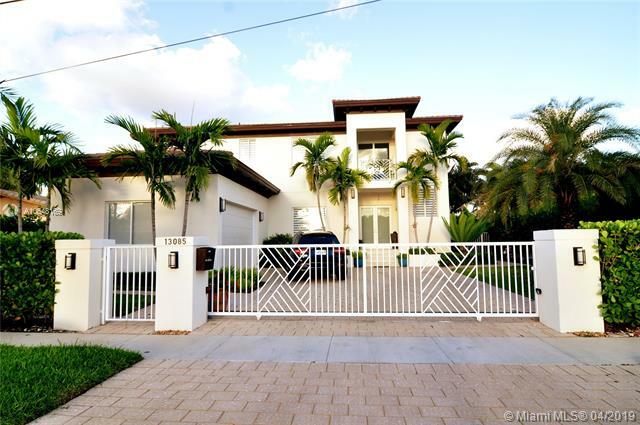 Located in 24 hr guard gated island of keystone point, miami, florida.